As a real estate investor and licensed Realtor, I get people asking me for advice all the time about investing in real estate and becoming a residential landlord. First, the bad news; Despite what most have seen on the late night TV infomercials (I don’t have cable, so I do not know what’s on late night TV anymore) being a landlord takes a lot of knowledge and understanding of the marketplace. Moreover, real estate prices have had a nice run, so finding potential investments is tougher and more competitive. Now, the good news; Anyone can become a successful landlord. All it takes is a lot of upfront work and common sense, but it gets easier over time. There are still deals available if you truly look for them. Moreover, there are a number of tools that did not exist a few years ago that make finding potential properties and tenants much easier. For instance, I do not use the local MLS to find tenants as my fellow Realtors usually do not present acceptable candidates. I advertise on Zillow and Trulia, and use www.mysmartmove.com to screen tenants. It’s all free! I always recommend real estate investing and property management over the flipping stuff as the IRS has given ample tax benefits to long-term property managers and investors. As your portfolio builds over the years you will find yourself doing much less work overall as you will have more money to pay others to fix things and rehab. Why bother buying life insurance when rental properties can provide you better protection? Here in the U.S., if you ever want to leave a sizable estate to your heirs, there is nothing more powerful than a portfolio of rental properties. For example, if you die and your children get your properties, they receive them with a stepped-up cost basis; their cost basis is based on the value of the properties on the day of your death. You will never get rich buying rental REITs; the managers of the REITs get rich. So, invest directly. There is nothing more satisfying than controlling our investments. 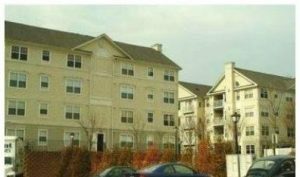 The real estate collapse destroyed condo prices in Suburban MD, and many developments lost FHA certification, meaning that owner-occupied buyers could no longer get FHA and HUD mortgages. So, cash and conventional loans were the only ways to buy. Prices dropped from 275k to as low as 60k in 2012. Yes, that is correct. It was a self-feeding loop, and the carnage was unprecedented. It still lasts today. Common charge delinquencies and large investor ownership were the primary causes of loss of FHA certification. Those numbers sound crazy, and indeed, they are heartbreaking to many owners (who were then foreclosed upon). But, life goes on. Investors then came in and cleaned up the excess supply. I was one of these people. In one instance, I bought a HUD-owned condo for 61k in which the bank sold back the note to HUD for 235k. I always recommend concentrating on particular geographic areas as it pays to become an expert in a limited number of zip codes. This makes the up-front work much easier and will make finding properties more simple. Moreover, do not buy where you would want to live. Buy where you can get good deals and find good tenants. I prefer working class neighborhoods. Many of my tenants make $100k and more a year. That may sound like a lot of money, but here in the DC area that is normal. As I will now show there are still opportunities to find decent deals that provide landlords with satisfactory Capitalization Rates (Cap Rates) and Internal Rates of Return (IRR). The rents for 2 bed/2 bath units are 1,550-1,600/mo. The amount of money I will need to rehab the unit should be no more than $8,500 and two months of my time. So, my cost basis is about $90,000. Holding period is five years. The disposition price at the end of year five equals the current standard transaction price of $120,000. If you are truly interested in building long-term wealth just start with the first property and build from there. Just learn how to do the work and understand the carpentry and rehabbing stuff. I did not know much about these things when I first started, but the expertise came naturally as I had fun in the process. Previous Previous post: Bitcoin Update – Learning from the past year’s market action; what does the future hold?